Everyone has their own opinion of the definition of truth. Is it relative? Is it absolute? Is it based on God’s Word? Is it different today than it was 50 years ago? 2000 years ago? 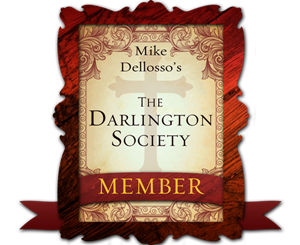 Does truth change with the culture? Does it change with the times? But, maybe, Truth is a Person. 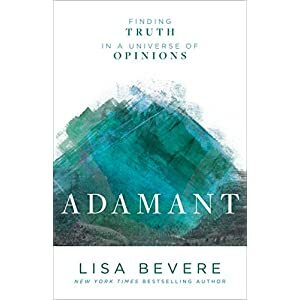 “Adamant” by Lisa Bevere explores Truth as a Someone rather than a something. The subtitle, “Finding Truth in a Universe of Opinions”, led me to believe that “Adamant” would identify truth from our false beliefs or opinions, such as our society seeking tolerance over the truth of God’s Word. That was a wrong assumption. It isn’t until chapter 6, entitled “Adamant in Hate”, that I understood the direction of Bevere’s book. Chapter 6 was the best chapter in the book. Chapter 7, “Adamant in Truth”, was a close second. We are called to love. Sometimes our convictions get in the way. Jesus is Truth. He modeled the way we are to treat others in view of truth. Bevere’s book teaches us how to look for better ways of debating truth with those around us.